NO MUD TAX! MOVE IN READY! 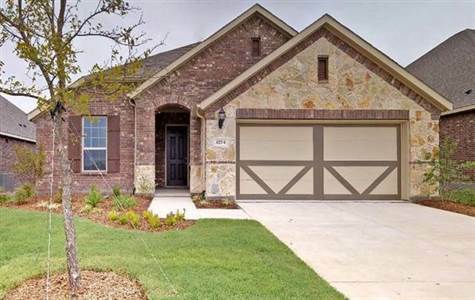 **For open houses and showings, please stop by the model home located at 1621 Cedar Crest Drive! ** Brand new Gehan home in Gateway Parks! Gorgeous 1.5-story exhibits the Palm plan, offering 2304 sqft of living space spanning 3 bedrooms, 2.5 bathrooms, bonus flex room on the 1st level, an upstairs game room, and 2-car garage! Rich hardwood flooring flows throughout main living areas of the home while a cozy gas-starter wood burning fireplace adorns the spacious family room. Gourmet kitchen boasts granite countertops, gas cooktop, large center island with breakfast bar, and large walk-in pantry. Private master suite with sitting area and luxurious bath. Covered patio area in backyard!